This versatile recipe might sound like an absurd, five-year-old’s invention — spaghetti with peanut butter. But you can make this remixed Sichuan dish with little more than those two ingredients. In Chinese, the original is called cold noodles with chicken slivers (雞絲涼麵), and, accordingly, it’s usually made with chicken. But if you’re happy to bastardise it, this recipe works with whatever happens to be in the fridge (I love cucumber, eggs, and tomato; but leftover chicken, celery, bean sprouts, tofu or mushrooms would work). Infinitely flexible, infinitely delicous, this is a staple meal, for Brad, Wendy, and Joyce. Thomas suspects it might be the perfect, post-zombie apocalypse dinner. Master it now, before the walking dead appear. The recipe that I’m not following is from the wonderful “Land of Plenty” by Fuschia Dunlop (you can also find it here). I use sesame paste, but Joyce and Wendy usually use peanut butter. I’ve used cold, leftover spaghetti noodles (pictured above); but, really, rice noodles are better. Pretty much every ingredient in the following recipe is optional, apart from the peanut butter/sesame paste, and soy sauce in the sauce. And feel free to adjust the proportions to your taste. I like the sauce slightly on the thick side, but it needs to be liquid enough that it coats your noodles and toppings easily. The following feeds 3-4 people. This recipe scales up very well — and is great as a choose-your-own-adventure, salad bar style meal for a diverse crowd. – 1tbsp (15ml) peanut oil, or other light vegetable oil. Cook the noodles according to the package instructions, just to al dente. If using rice noodles make sure you read the instructions. Boiled rice noodles turn to mush. Rinse well them in cold water, and toss them with a little bit of oil, so they don’t stick. 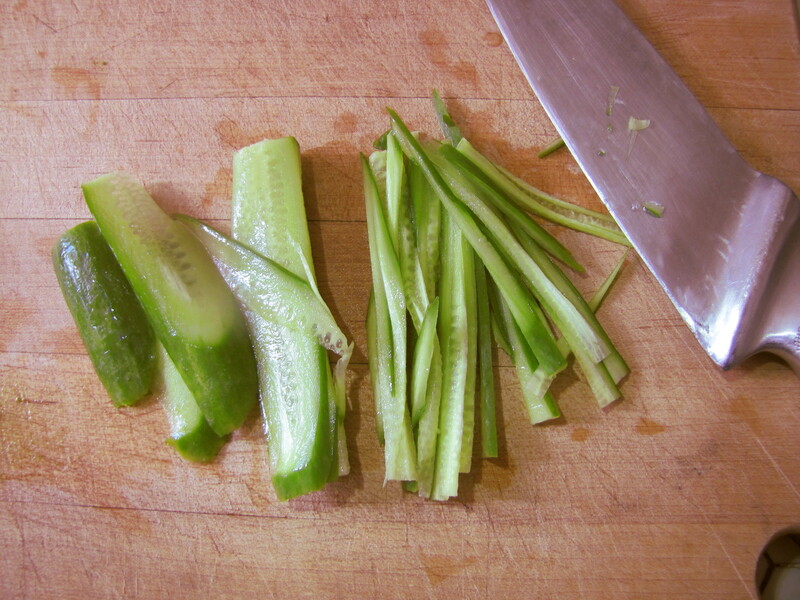 Cut the cucumber into thin strips (julienne). 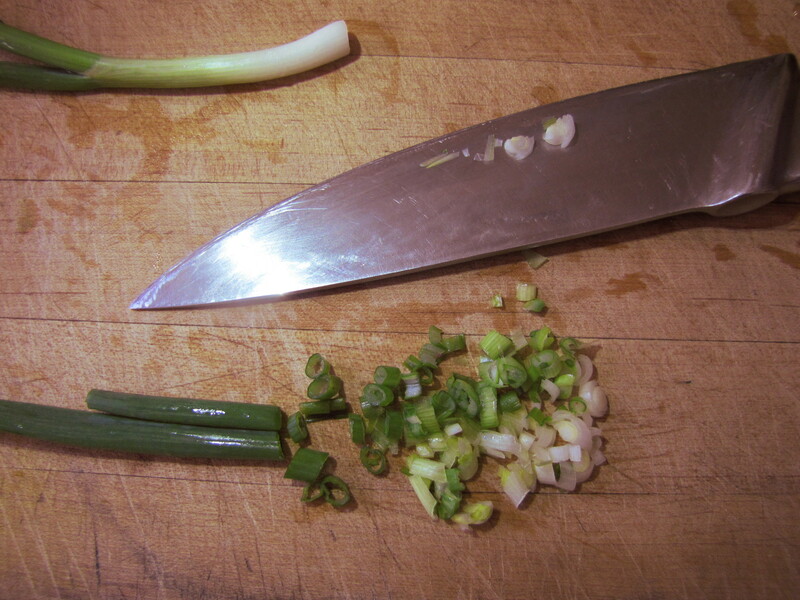 Finely chop the scallions. Then, add the vinegar. By now, it should be a pretty smooth liquid. Add the rest of the ingredients (besides the water), and mix well. 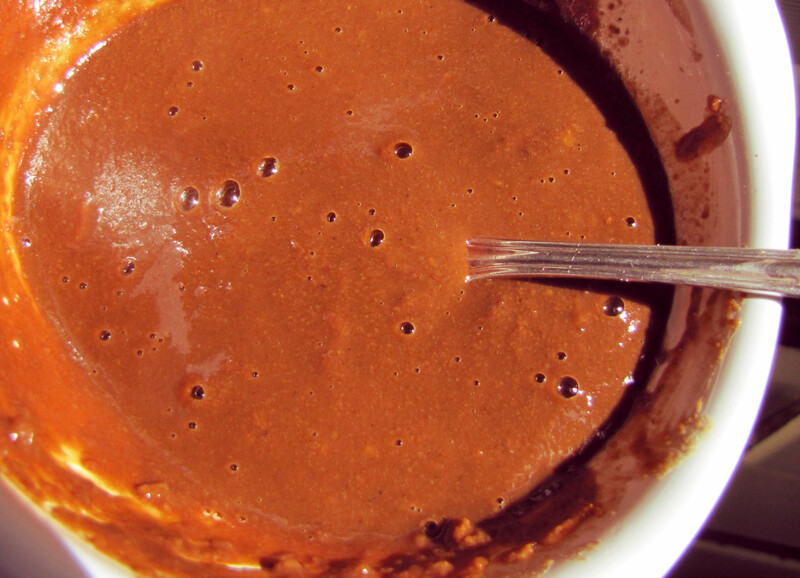 Adjust the thickness with the water — you want a thick liquid, not a paste — taste, and adjust the sugar, vinegar or soy. To serve, fill each bowl part way with noodles. Add the toppings (or have your friends add their own). Drizzle with sauce, and eat!